Luckily I never seem to have any problems with my hair due to the fact that I've never dyed it or done anything to damage it. 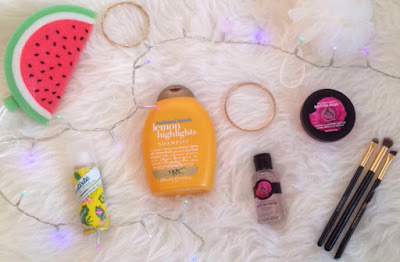 Therefore I tend to stick to a simple hair routine with a limited amount of products as I often find that using too many products Isn't always the best option. I personally have quite thick hair but fortunately it's not the type to get frizzy or tangled, the products I'm going to be sharing with you today will be suitable for long thick hair. I am also going to throw in some shower products recommendations of items I have been loving this month to hopefully give you some inspiration if you were on the lookout for some new and improved shower products. First up is something I have been loving and using non-stop for a while now and that is the sun kissed blonde lemon highlights shampoo by OGX. This shampoo is perfect for emphasising and bringing out the golden shimmery highlights you may have in your hair even if you're like me and you have dark brown hair. Although the difference was subtle and only noticeable over multiple different washes, I was still surprised I even had those highlights hidden in my hair. As well as this the smell of this shampoo is incredible with its citrus lemon scent enriched with key lime and coconut oil, I'd happily buy it just for the smell. The products smooth, thick and creamy formula lathers up and leaves you hair feeling smooth, refreshed and conditioned. I often use the matching OGX conditioners to top it all off. 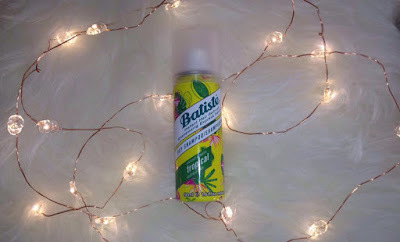 I couldn't do a hair routine without mentioning the saviour of our lazy hair days. The dry shampoo that I use is the Batiste dry shampoo in the scent tropical. I have mentioned this product briefly in a previous blog post that if you read would know how much I have been enjoying using this. Much like the previous shampoo it has the most stunning scent, tropical and coconut, which I fell in love with before even proceeding to apply. It gives your hair on the go volume and the effect that it has just been washed in the matter of seconds. 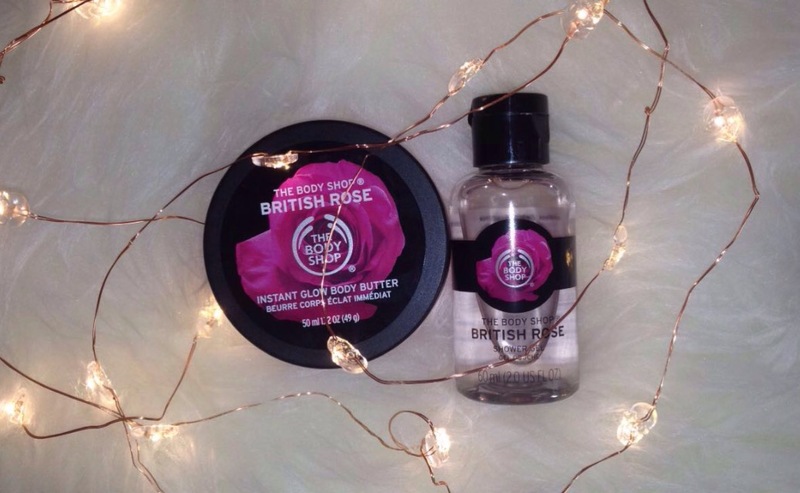 The current body butter I am using is the Body Shop instant glow in the scent British rose, which as you can imagine smells like rose. It has a smooth, thick texture but is unlike a lot of other body butters I have tried in the sense that it glides and blends on to the skin much more effortlessly than any others I have tested. The product results in your skin feeling soft, nourished and also slightly glowy. Additionally I happen to be using the matching shower gel which provides a very similar outcome to the body butter, just in shower gel form. Not too long ago I did some research to see if I could make any hair masks I could make at home at little expense, just using the ingredients we had in the house. I discovered a good recipe which I have tested and approved using only honey to help moisture and restore/awaken your dry ends. You can also add cinnamon and lemon into the mix, leave it on for an hour or longer and your hair will be naturally lighter. Mine went approximately one shade lighter but if you repeat the process multiple times it should give steadily good results. 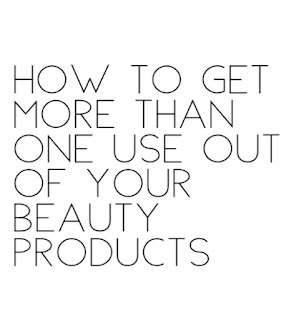 If I realised I could do some of these things before I would have saved so much money on various beauty products and got a lot more use out of them. 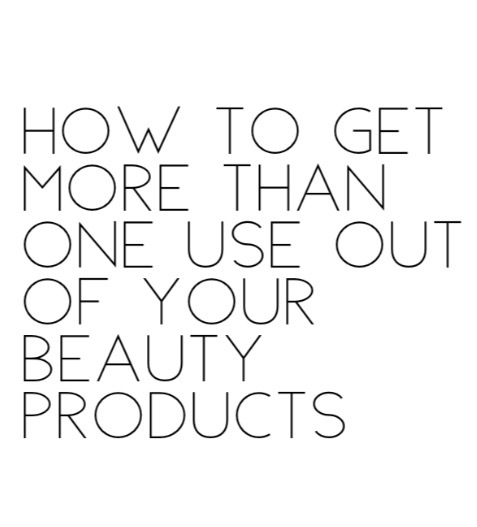 So today I will try and hopefully help some of you guys out by sharing how to get more than one use out of a variety of different products. Apart from the obvious use to moisturise your lips and heal/prevent them from chapping, lip balms are one of the products that has multiple different uses. Lip balm can act as a brow gel/brow comb in the sense that it will tame your eyebrow hairs with its smooth formula and help them stay in place, all you need to do is place a small dab onto the tip of your finger and swipe across your eyebrow. It can also act as a quick an easy eye cream with its moisturising and smooth texture and can help you're eyeshadow apply and last better and longer. Tinted lip balms are also a good alternative to lipsticks if you like a more subtle lip that will also feel smooth and moisturising at the same time. A lot of tinted lip balms tend to have a subtle and sheer coverage and a balmy appearance so if you're into a bold matte lip then these probably aren't for you. Another handy use this product has, very similar to the eyebrow hack, is to tame any fly aways in your hair if you're hair is acting a bit frizzy or you're simply having a bad hair day. As well as this it can also be placed onto a cotton bud and used to remove any mascara that has transferred onto your skin throughout the day so you won't have to worry about carrying a heavy bottle of eye makeup remove with you and can bring a multi use, travel friendly lip balm around instead. The best thing about this hack is that it won't effect or remove any of the makeup you may be wearing underneath. If you own any eyeshadows that match your eyebrow colour and have a matte finish then you can use them to fill in your eyebrows. For this one I would avoid using eyeshadow that have a shimmer or contain glitter and would also try to stay away from eyeshadow that has a lot of fall out, I would use an angled brush for extra careful precision. Eyeshadow can also be used as eyeliner if you own an eyeliner brush or a brush where you have a lot of precision. This works even better if you have wet/dry eyeshadows so the eyeshadow can glide on a bit easier. This next one is my personal favourites as its using eyeshadow for highlight and bronzer. If you own a shimmery eyeshadow that gives a nice highlight or glow then you can dip your makeup brush into it and it and place it onto your cheek, it should act no different to an ordinary powder highlight. For bronzer if you own a warm toned brown eyeshadow it can be used as a replacement of an ordinary powder bronzer and again shouldn't act too different, however you may find it slightly tricky getting much pigment out as it can sometimes be difficult to get your brush into a small eyeshadow. If you have normal or dry skin and find yourself using moisturiser a lot then if you put it on before doing your makeup then it can also work great as a primer too. You have probably heard of this beauty hack before, especially if you use clear mascaras. Not only is this product used for your lashes but also like the lip balm can serve the exact same purpose as a brow gel and will keep your brows tamed and perfectly in place for hours. You can also mix in a loose pigment and mix it into the clear mascara for a cheaper and more affordable coloured mascara. The colour pigment needs to be whatever colour you want the mascara to be. 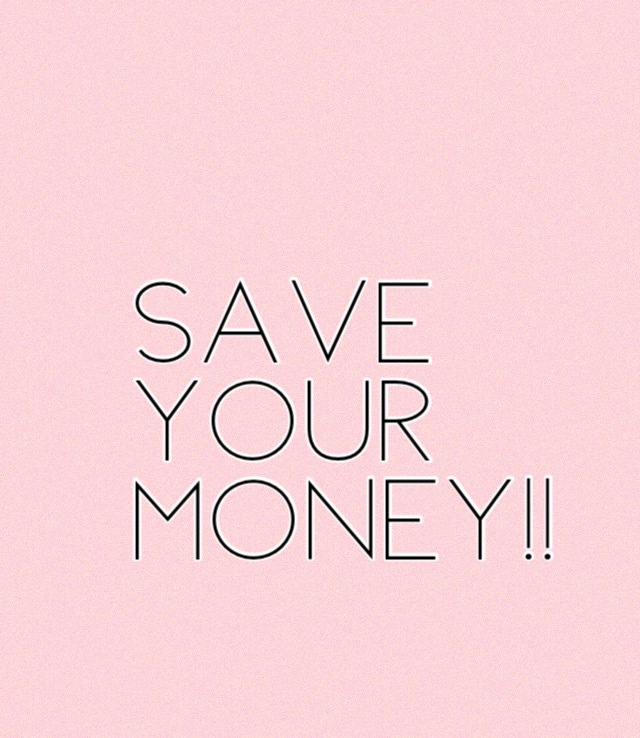 Make Up Products/Cosmetics To Save Your Money On! No one wants to be spending a fortune on disapointing items that are not worth your time and money. A lot of the things that you buy are influenced by what other people have and different trends that are going on at the time but the products that are raved about are not always worth your money. Although sometimes it may be hard not to buy products that are in trend, it's worth realising that the product will most likely be forgotten about in a couple of weeks time. Today I'm going to share with you some beauty items and cosmetics that may be worth holding back on and not taking that splurge. This could be a controverstial one as I realise a lot of people do enjoy using these feather like brushes for applying highlight and I may have just been unlucky enough to get one that's not as good as others, as unfortunately my experience with fan brushes wasn't as good as I hoped. I personally found that picking up the product onto the brush took a lot of effort due to the flimsiness of the brush therefore not as much product was picked up onto the brush. Although the brush helped the product apply in a better motion, using the fan brush lost a lot more of the pigmentation from my highlighter than the previous brush I was using. This is good if you like a more subtle looking everyday highlight like I do but for the majority of people they would like to get the most out of their product, including pigmentation. In my opinion lower lash mascara isn't really worth saving up for due to the fact that you can just use your average mascara for the same purpose. I understand that the smaller brush allows better, more steady precision than using a thicker, everyday mascara wand which would be much harder to control and much easier to transfer and end up under your eye. However if you do get mascara all underneath your eyes using your normal mascara then you can easily clean it up using a cotton bud and some makeup remover. This was a makeup trend that went viral a while back but has died down for a while now. This product is a blending silicone sponge that helps to blend in liquid products. However it highly resemble a beauty blender in the way that it serves the same purpose and doesn't do an any better job at it. It is good in the sense that it doesn't waste any product like a beauty blender would do due to its sponge texture that absorbs the product. Overall though I would avoid spending your money on yet another product that will serve the exact same purpose. There is nothing wrong with either primers or setting sprays as they both come in super handy if you're going out and you want you're makeup to last that extra bit longer. There is also nothing wrong with wearing both a primer and setting spray at the same time but if you are trying to save money then only one of these products is necessary. Much like the primer and setting spray only one of these products is really necessary. I recently tried a lip plumper however it did not seem to work on my lips but that definitely does not mean other brands wouldn't. Like lip pumpers lip liners will also create the similar sort of illusion that your lips are bigger than they are. 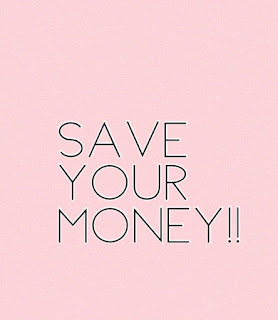 Lastly if you want to save your money try to avoid getting product just for the good deal unless you've been meaning to get it and had your eye on it for a while. Although this may be hard as the product may seem even more appealing with an affordable price tag, just think whether you would be buying that product if the price wasn't reduced or are you just buying it for the good deal? I was given this product for my birthday not too long ago and I hadn't heard very much about it so today I thought I would test it out for you and see if its worth the money. My initial impression before proceeding to apply the product was that it had an attractive appearance with detail on the lid but also quite simplistic. When I opened it the product immediately reminded me of nail varnish due to its soft bristle brush applicator. The only thing that concerned me from my first impression was that the bottle didn't look like it held much product in (10ml) for an item of high price. This bronze/golden liquid highlighter is available in various shops online or in store and is priced at £21.50. Benefit claims that this golden bronze complexion liquid highlighter will give you a natural, sun kissed radiance that will complement all skin tones. To use dot product on to cheek and brow bones and blend in using either your fingers or a brush. The brush is soft on your skin and highly resembles the brush of a nail varnish. It is small but is the perfect size for applying just a small amount of product on to your skin which is all you need. When I applied this liquid highlighter to my cheek strait away It gives a beautiful radiant,golden glow that has a little bit of a golden shimmer that's not too overpowering or too in your face. It is perfect if you're looking for a glowing highlighter and the bronze/golden pigmentation of the product really does give a slightly tanned effect as if you've been 'sun kissed'. This highlighter won't give a 'blinding' effect as it does give a 'natural-looking sun kissed radiance' like Benefit stated. However this definitely does not mean that is won't be noticeable or visible. It has a light weight formula that blends in easily to the skin with the help of its smooth, creamy texture. Due to the products light-weight formula it feels very comfortable on the skin, almost like you're wearing nothing and it dries down within a couple of minutes so it won't smudge/smear or rub off throughout the day, It is definitely long lasting. - Gives a beautiful natural glow. - Smooth light weight formula. - Bronzed 'sun kissed' effect. - High in price for possibly not a lot of product. - If you're looking for an intense glow then this is too subtle. Although at the beginning I was slightly worried there would not be enough product for the price, now I have tested it out I realised that it's definitely a case of a little goes a long way so it should last for a reasonable amount of time. I would buy this if you're looking for the qualities in a Liquid highlighter like the things above, ever since I started using this I have been reaching of it every day since. Would one hundred percent recommend! If your on search for some new skincare recommendations and a few of my tips for keeping your skin clear this Autumn than continue reading as today I am going to share with you some of my best advice and favourite skincare. This is something you've almost definitely heard before and it's definitely easier said than done especially if your like me and you don't drink a lot of water. The recommended amount to get healthier and clearer skin is to drink 2 litres of water a day which for someone who doesn't drink a lot made me quite doughtful I could keep it up. Although I was scared I'd go through all that effort for it not to work, now that I have tried it I am extremely pleased with the outcome. Cleaning will help get rid of dirt or makeup from your face which will help clean your skin to prevent further spots from developing. When you are cleansing try to cleanse for about thirty seconds but be careful not to scrub to hard as that can leave your skin red and irritated. The cleanser that I am currently using is the clarins daily energizer gel cleanser which is great but I would also recommend simple cleansers as a cheaper alternative. Like scrubbing to hard, using too many products can leave your skin feeling irritated. Try to find the time to treat yourself to a well deserved pamper evening every couple of weeks where you can run a nice warm bath and put on a face mask, this doesn't necessarily have to be shop bought but can be homemade using natural ingredients such as lemon, honey, rose water and green tea which can help your skin significantly. These are my favourite out of all the skincare I have been using and loving throughout 2017. The product I would recommend the most to you, skincare wise is the Mario Badescu facial spray enriched with Rosewater to help reduce redness, get rid of acne and also work as a great at cleansing. However, I have also been thoroughly enjoying the garnier micellar water for cleansing/removing makeup, the body shop body butters for leaving my skin feeling smooth, moisturised and smelling beautiful. Also last but by no means least,Simple for their incredible light weight moisturise, moisturising cleansers and of course their cleansing and make up removing wipes.